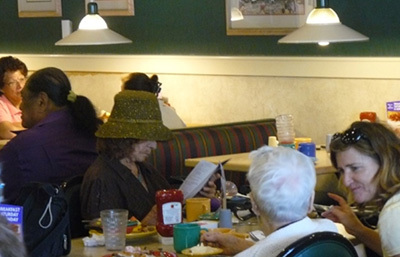 August 12, Thursday afternoon, from 1-3pm the TONKAWA Elders Club saw lifelong friends, new members and enjoyed the conversation and activities at the Annual Luncheon. 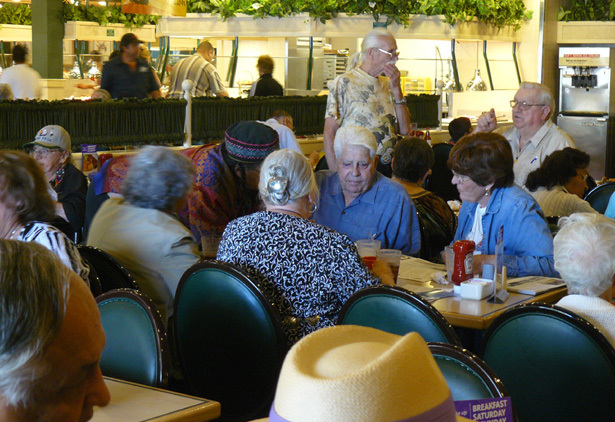 The University Avenue Home Town Buffet was again the site for this annual event. It is always a special treat to sit down with our Jamul elder, Jane Dumas. She was our opening speaker and offered the blessing for the TONKAWA luncheon. It feels good to see her enjoy those years of effort to keep the club together continue. 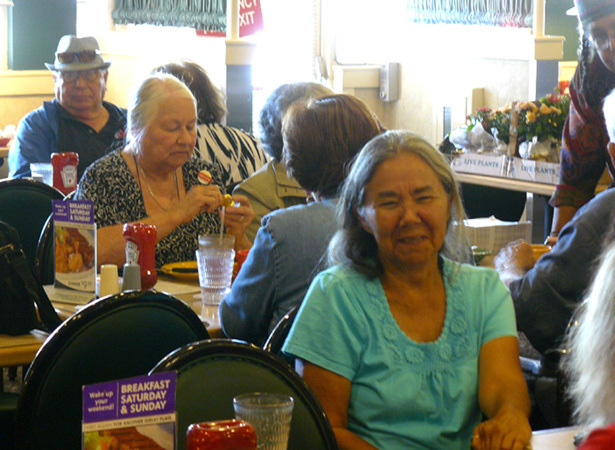 Dr. Norrie Robbins was her designated driver and a welcome guest at the TONKAWA table. The Vice President, Jerry Starnes and the TONKAWA Treasurer Jean Vigenault organized this event. We particularly appreciated TONKAWA President Violet Tunohun attending and bringing her Mother, Alexandria Smith to enjoy the elders company. Some of our long time members have been hard pressed by illness and the accumulation of conditions that result from a life of hard work and bringing forth life. We realize that our children are our future and reward for all our efforts. Marga and Yvon Troha answered the invitation with their attendance. Rose Davis brought the latest copy of Indian Voices and engaged in deep conversation with El Bissara. Also, Jean brought her Mother, Genevieve, a long time TONKAWA member. Manuel and Celia Flores enjoyed the company of Gwen Cooper and will graciously offer their patio for the September TONKAWA meeting. Carmella Ignacio also engaged in conversation with Gwen and Randy Edmonds and Bonnie. All declared they came hungry and found the HTB fare to their satisfaction. Many said they would make better efforts to attend future meetings now that Jerry Starnes has secured the IHRC location for our October and future TONKAWA meetings. Still on the second Sunday of the month at 11:30 or noon. As folks started to think of their next afternoon meeting or appointments, a surprise gift was distributed. 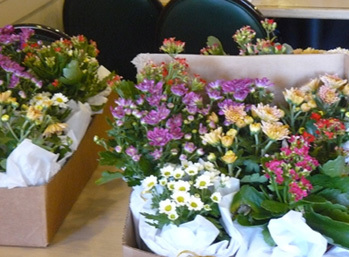 Jean had brought in delightfully beautiful and colorful potted plants in flower for all attending. Smiles all around, happy bellies, and beautiful American Indian people slipped into the bright San Diego sunny afternoon. See you all at the next TONKAWA meeting!